Southport and Ormskirk Hospital NHS Trust manages Southport and Formby District General Hospital and Ormskirk and District General Hospital. The Trust comprises two hospitals: Southport & Formby District General Hospital and Ormskirk & District General Hospital and provides healthcare in hospital and the community to 258,000 people across Southport, Formby and West Lancashire. New legislation has come into force to limit the manufacture and use of R22 as a refrigerant. This has been necessary to reduce its impact on the environment and limiting its effect on global warming. From 2010 it was no longer possible to manufacture R22 and only existing stocks could be used limiting its availability and increasing its price. 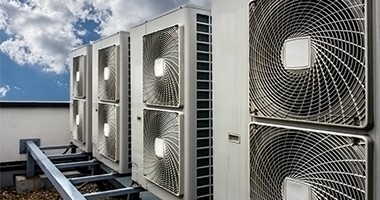 The project involved the replacement of various air conditioning plants at both the Ormskirk District General Hospital site and Southport and Formby Hospital site to suit the recent changes to the F Gas regulations and the banning of R22 as a refrigerant gas. A total of 27 systems were replaced at the Ormskirk site with 42 systems being replaced at the Southport site. There were also a number of Fridge/Freezer systems that were replaced on both sites, including all associated pipework and controls.On both sites there are air handling units which had DX cooling coils and associated condensing units that were also replaced with modifications carried out to the existing BMS system to ensure its compatibility to the newly installed equipment. The scope of the project involved the de-gassing and removal of existing air conditioning systems, the replacement equipment for the walk-in fridges and freezers and the replacement of AHU DX cooling coils and associated condensers. Equipment supplied to the Southport site that would be exposed to the corrosive elements of the sea air were coated in “Bronze Glow” post manufacture to protect against corrosion. All of the works were carried out in two live hospital sites. Careful and considerate planning had to be undertaken in liaison with the hospital staff to ensure that the works could be carried out in an efficient manner whilst causing the minimal disruption to the operation of the sites. The replacement systems were required to comply with current legislation regarding the use of ozone depleting chemicals in refrigeration systems, and therefore unavoidable, however, the new systems are more efficient both in terms of energy usage and ongoing maintenance costs which will provide a long term benefit to the trust.